While the Ayurvedic birthstone list only includes topaz, the Jewelers of America list considers both citrine and yellow topaz as official November birthstones. Citrines are quartz crystals commonly found in igneous metamorphic and sedimentary rocks. The common colors of citrines are yellow and orange. The word citrine is derived from the French word, citrin, which means lemon. Citrine is the gemstone for the Zodiac sign of Scorpio, and the 13th and 17th wedding anniversaries. In ancient times, citrine was worn as protection against bad skin, evil thoughts, snakebites, and even the plague. A gift of citrine symbolizes strength and hope. Some believe citrine began as amethyst, the purple quartz, but the heat from molten rock changed it to yellow quartz. The presence of fluorine usually indicates that topaz is likely to be found. When topaz has red or pink overtones, it is known as Imperial topaz, and can be very rare and expensive. 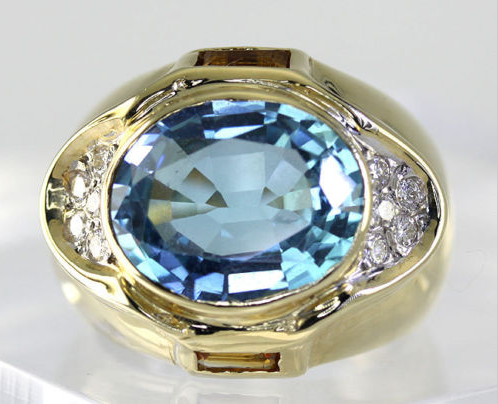 It is widely believed that the word topaz is derived from the Sanskrit word, topas, which means fire. Topaz jewelry is given for the 4th, 19th and 23rd wedding anniversaries. A gift of yellow topaz symbolizes friendship, strength, wisdom, and courage. Topaz was once believed to ease bad tempers, cure insanity, and help insomnia. The ancient Egyptians believed yellow topaz’s color came from the glow cast by the sun god, Ra. The ancient Greeks believed topaz could make its wearer invisible. If you’re born in November or just love these beautiful gemstones of the fall, Adina by Empire Jewelers has an extensive collection of beautiful citrine and topaz jewelry, at true wholesale prices, as well as a wide variety of precious and semi-precious gemstone jewelry. Shop online today, and remember, if you have any questions, please don’t hesitate to contact us.